How much did you love our Claire Pettibone day? We are so excited for you to see the entire collection given exclusively to us by Elizabeth Messina and Claire Pettibone. We could not be more grateful to showcase such amazing talent. We are at the edge of our seats to hear what you think of the collection. 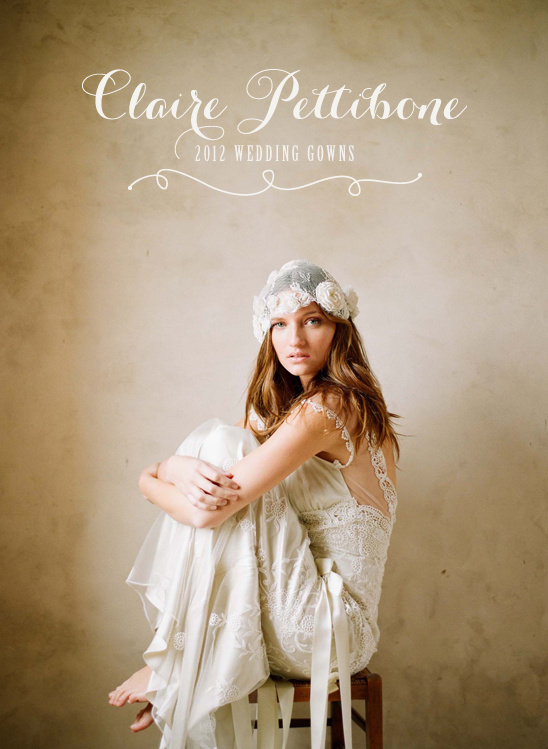 To see the entire Claire Pettibone 2012 Wedding Collection be sure to click here. Claire Pettibone's Beau Monde collection has been described as a sultry exploration of French-infused antique lace, flirtatious bodices and gold trimmed ruffles. Brides will be inspired by her ultra femme collection. Definitely for the bride looking for something over-the-top romantic, we can so see one of these dresses at a garden wedding surround by shabby-chic decor and overflowing with spring blossoms. 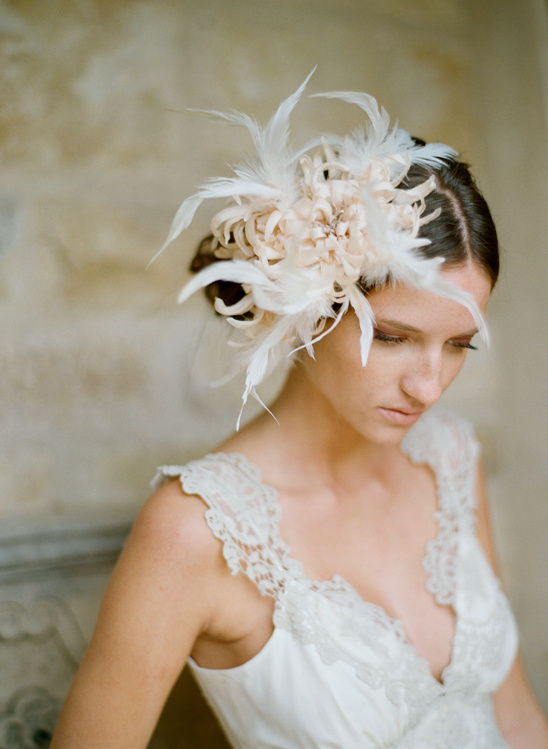 We love to see brides in Claire Pettibone's dresses, so send us your wedding if are wearing one of these pretties.